Rabbi Robert Tobin and his wife, Lisa, knew they had found a home as soon as they came to West Orange for his interview for the position of religious leader at B’nai Shalom. “We walked out and said to each other, ‘We’re not going to find this anywhere else,’” said the rabbi. “‘We’re not going to find this relationship, this energy, this Judaism anywhere else.’” When he was offered the job, he canceled the rest of his interviews and accepted. 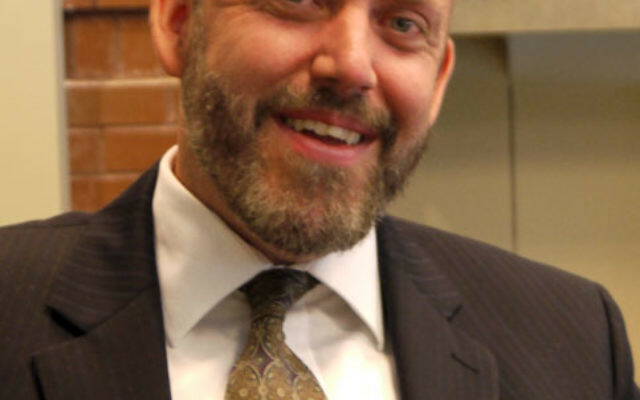 On July 1, Tobin became senior rabbi of B’nai Shalom, where he succeeds Rabbi Stanley Asekoff, who served the congregation for 39 years and will continue as rabbi emeritus. The congregation’s reaction to candidate Tobin was much the same as his to B’nai Shalom, whose search committee had interviewed more than 30 applicants, according to cochair Fani Magnus Monson. 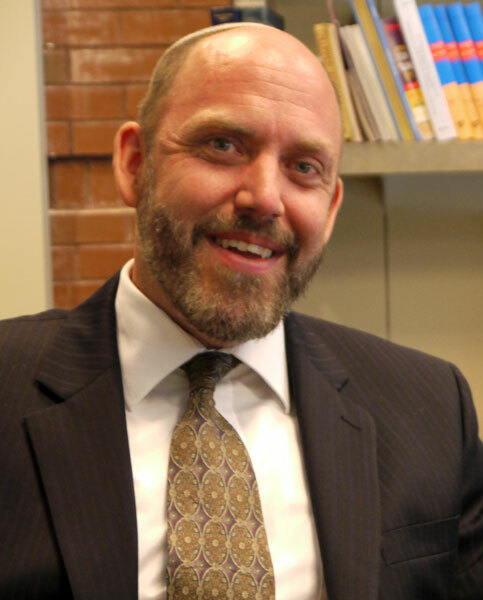 Tobin, 45, was ordained at the Jewish Theological Seminary. Originally from Rochester, NY, he has lived or studied in South Africa, Chile, France, and Israel. He received a bachelor’s degree from Georgetown University and holds three master’s degrees. He comes to West Orange from Kansas City, where he was the senior rabbi at Congregation Beth Shalom. Tobin and his wife have four children, who are at JCC MetroWest’s Camp Deeny Riback in Flanders this summer and will all be students at the Golda Och Academy in West Orange in the fall. Asked about his agenda at B’nai Shalom, Tobin said he really just wants to take it from strength to strength. “I want B’nai Shalom to be a good shul. At the end of the day, all good shuls are the same in the stuff that really matters,” he said. “When you walk in the building for the first time, did anyone stop to greet you? Did anyone make you comfortable at kiddush? Did anyone care to know your name? Were there children in the halls? Is it the place where you feel you can be your best self? The one challenge he knows he needs to confront is the synagogue’s religious school, which is now, as he put it “very personable,” with fewer than 30 children. While he said that it’s a great benefit of such a school that every child gets to have a personal relationship with the rabbi, he is realistic in understanding the need to grow. In the meantime, he is making some small changes that offer loud signals about his philosophy and style. He’s getting rid of his desk and plans to replace it with a round table surrounded by four or five chairs. Until he does, he refuses to sit behind the desk, which he considers to be a “barrier” with visitors. Instead, he uses chairs he has placed in front of the desk.